Qatar Airways is owned by the Qatar government. They operate flights from Johannesburg, Cape Town and Durban to the rest of the world via Doha. Flight specials - Get all the latest ones here! Qatar Airways (QR) operates flights from Johannesburg, Cape Town and Durban to Doha and onward to Europe, the US, Australia & Asia. The airline is owned by the Qatar government via its sovereign fund. With its generous 30kg baggage allowance in economy class, Qatar Airways is a popular option amongst travellers with a lot to carry. It's business class isn't too shabby either - Skytrax rates them a 5* airline as well as having taken home several awards for the best business class. In 2015 Skytrax awarded Qatar Airways second place in the World's Best Airline catagory. And we haven't even started speaking about the fact that it is often cheapest! Interested in earning a unique SouthAfrica.TO discount voucher to redeem towards your next Qatar flight? Find out how you can save by sending us a travel review here. 2018-10-24. Qatar Airways could leave the Oneworld Alliance in 2019, said CEO Al Baker. This is due to strained relationship between Qatar and it's US partners, United Airways and American Airways. The airline added that they are looking at privatization within the next ten years. 2017-11-09. Qatar Airways recently acquired 9,61% of the total issued shared in Chathay Pacific. Akbar Al Baker has said the following: "Qatar Airways is very pleased to complete its financial investment in Cathay Pacific." 2017-10-10. Qatar is adding flights to Russia's St Petersburg later this year. The airline will introduce these flights from the 19th of December 2017 and will operate the route on an Airbus A320. 2017-09-29. Qatar is adding a global chauffeur service to their offering, allowing passengers in all classes to book luxury vehicles to take them to and from the airport. This service will be bookable on Qatar's website at a fee. 2017-07-06. Qatar is the latest airline to meet additional US security measures which now means that the electronics ban no longer applies to them. Etihad was the first affected airline to put into place these additional security measures, followed by Emirates and Turkish Airlines yesterday. Now it only leaves airlines departing from Morocco, Jordan, Egypt, Saudi Arabia and Kuwait waiting to have the ban lifted. 2017-06-05. As reports emerged that Qatar is supporting terrorists, various countries including the UAE and the Saudis decided to cut diplomatic ties to Qatar and close the surrounding air space. This has caused severe flight delays and several cancellations as the airline tries to find alternative flight routes. Etihad airways will also stop operating flights between Abu Dhabi and Qatar from the 6th of June 2017. 2016-02-18. Qatar has just signed a codeshare agreement with domestic airline British Airlines operated by Comair. This will allow Qatar passengers to connect seamlessly from Doha-Johannesburg flights onto BA flights from Johannesburg to Cape Town, Durban, Port Elizabeth, Victoria Falls and Harare. Qatar will also place their code on BA operated by Comair flights from Cape Town to Port Elizabeth and Durban. 3 October 2016: [Please note - this has not yet effective and you still need to apply for a Visa prior to departure.] Qantas has revolutionised their transit visas! Where passengers with layovers exceeding 8 hours could previously appply for a 48-hour visa before travelling, the new system now allows passengers with a layover of 5 hours or longer a free 96-hour visa. Passengers no longer need to apply for this visa in advance, but they would need to present confirmation of their onward journey and completion of passport control procedures on arrival. A total of 80 A350ss have been ordered by QA. 2014-03-04 The A350 takes to the skies for the first time in Qatar Airways livery, in a test flight in Toulouse. 2014-02-06 Qatar Airways' first A350XWB (Extra Wide Body) lands at Hamad Airport on its way to the Singapore Airshow, making the airline the first to receive an A350. It's expected that the A350XWBs will start commercial flights towards the end of 2014. 2013-10-30 A350 expected in H2 2014: Qatar Airways expects delivery of its A350s in the second half of 2014, says Ali Akbar al-Baker, the Chief Exec of Qatar Airways. 2013-06-14 First A350 Flight : The Airbus A350 had its first test flight today, taking off from Toulouse in France. The 6 crew were all wearing parachutes! Peter Chandler from the UK and Guy Magin were the first 2 pilots. “We were on time and everything went perfectly,” said Fabrice Bregier of Airbus. The A350 is expected to have its first commercial flight in the 2nd half of 2014 with Qatar Airways. The A350 is planned to be a fuel efficient long-haul option (Airbus claims it'll go through 25% less fuel than the B777 and 6% less than the B787). BA & Cathay Pacific have also placed orders for the A350. Qatar Airways' first Airbus A380 is due to be delivered in 2014, when they will become the 11th user of the A380s. They have ordered a total of ten A380s. 9 Sep 2013. Qatar Airways' first A380 makes its maiden flight from Toulouse to Hamburg, where it will be painted by Airbus and have its cabin fitted. 22 Apr 2013. 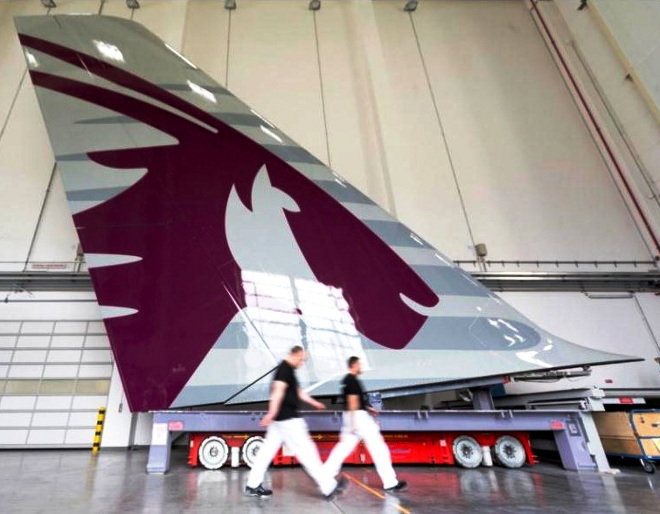 The tail section of the first Qatar Airways Airbus A380 has been painted in the company's colours - here's a photo of it in Hamburg at an Airbus factory. 1 May 2013. B787 flights are resumed (they were grounded in January). “I have always hailed the Dreamliner as the state-of-the-art aircraft destined to change the way people travel and I was delighted to be on board our first 787 to take to the air again. Throughout the grounding of our fleet we have worked closely with Boeing to monitor the situation and work towards getting our fleet up and running again. Safety has always been the number one priority for Qatar Airways and I have full confidence in the safety and security of this aircraft.” said Qatar Airways Chief Executive, Akbar Al Baker. Views expressed here are not South Africa Travel Online's. 2015-06-24 Rating 5/5: This is a review of our flight from Rome– Doha – Colombo – Doha – Warsaw on Qatar Airways. Overall it was a very good experience. The planes looked and smelled new, interior was neat and clean. All passenger seats had a blanket and a pillow waiting. The seat designers have done a good job. It was well shaped and comfortable and the headrest was adjustable. At our disposals were a few publications to read ie: the Sky Catalogue duty-free shop, on-board magazine, daily newspaper. In the catalog with a wide range of duty-free items. We found cigarettes at very good prices. The entire on-board entertainment system makes a great impression. Their offer of movies and music is really good. However there are two things I did not like: the touch-controlled screens without additional remote control discourages to check the game options. Hands that operate the screen in front simply get tired. Headphones do not seem solid and of good quality, for me the maximum volume (or mute level offered by handset) is definitely unsatisfactory. But perhaps I'm deaf. If you get bored with on-board entertainment and you want to use your own smartphone / tablet at our disposal is the USB slot. During the journeys of Doha - Warsaw (and in reverse relation) there was one meal served. We ordered special meal. Food served was fresh and tasty, but let's face it, the economy class can not count as "the Sky restaurant." A few words about the staff onboard. Without a doubt, implementing the highest standards and very very professional. Chief of staff Colombo - Doha decided to personally greet every passenger. Unique experience:) There is one main drawback of economy class A320 QR that carries 132 passengers and flight is 5 hours. In the middle of our flight the cabin crew had to squeeze through a narrow corridor between the seats with strollers with meals / drinks and corridor was filled with passengers awaiting the two toilets. Of course this is an inconvenience, not only for the crew, but especially for travelers from economy class. In my opinion, this machine in a 2-class configuration is not suitable for such long journeys - if it is to provide 5-star comfort. Qatar Airways' response: "We appreciate you and your family flying with us!" 9 January 2013. Merisa is in awe at the level of service she received on an economy class flight from Johannesburg to Doha: "Just as I took in all the spaciousness granted to me, I was being provided with a warm towel to freshen up my flabbergasted face. Throughout the flight I could stretch my hands and legs far enough to feel free and hardly required a walk about the aircraft as there was no claustrophobia to escape from." 2015-09-22. Qatar airways is increasing its presence in South-Africa with Durban flights starting from the 17th of December 2015. These four flights will go via Johannesburg, upping Johannesburg - Doha flights to twice daily. They will also be increasing Cape Town-Doha flights from the 1st of October 2015 to become a daily service. From 27 July 2014 flights are being launched to Djibouti, making 1-stops possible from Johannesburg and Cape Town to Djibouti, via Doha. Saudi Arabia has just granted Qatar Airways one of the 2 licences to operate domestic flights in the country, by their CAA, GACA. Makes one think, that it would be great to see Qatar Airways operate domestic flights in South Africa too! We'd need to drop the 75% local ownership rule, though. 29 Apr 2014. Qatar Airways launches flights from Doha to Larnaca, creating 1-stop flights from Cape Town to Larnaca, and from Johannesburg to Larnaca (via Doha). 22 May 2014. 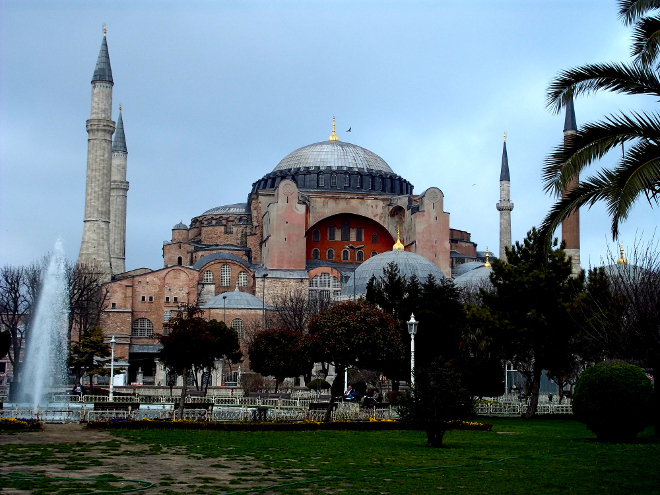 Four weekly Flights from Doha to Istanbul's Sabhia Gokcen Airport are launched, creating 1-stops from Cape Town and Johannesburg to Istanbul (SAW). 21 Nov 2013. Simon Teklesenbet says that Qatar Airways will be commencing flights to Eritrea soon. Qatar Airways operates flights to 3 UK destinations : Edinburgh, London & Manchester. 28 May 2014. Qatar Airways commences 5 weekly flights from Doha to Edinburgh on B787s, thus creating 1-stop flight options from Johannesburg to Edinburgh and Cape Town to Edinburgh, via Doha. This was announced on the 21st November 2013. 2003. Flights to Manchester are launched by Qatar Airways. 1997. Flights to London are launched by Qatar Airways, creating 1-stop flight options from Johannesburg to London and Cape Town to London. Qatar Airways operates flights to the United States to New York, Chicago, Dallas, Houston, Washington Dulles, Philadelphia and Miami. 4 May 2015. From 2016 Qatar Airways will be increasing their presence in the West Coast of the USA. From the 1st of January they will launch non-stop, daily flights between Doha and Los Angeles; from the 16th of March they will fly daily between Doha and Boston; and finally, from the 1st of July they will launch flights to Atlanta. From the 1st of March 2016 their daily New York-service will become a double-daily service. 1 Jul 2014. Daily flights are launched from Doha to Dallas Fort Worth in a B777-200LR, creating 1-stop options from Cape Town to Dallas and Johannesburg to Dallas. 10 Jun 2014. Qatar Airways launches flights from Doha to Miami. 2 Apr 2014. Flights commence from Doha to Philadelphia, United States. Codeshare with US Airways is expanded to cover flights from Philadelphia to Boston, Charlotte, Chicago O'Hare, Detroit, Ft. Lauderdale, Ft. Meyers, Las Vegas, Los Angeles, Miami, Phoenix, Raleigh, San Francisco, Tampa and West Palm Beach. Qatar Airways flights to China are to Beijing, Chengdu, Chongqing, Guangzhou, Hangzhou, Hong Kong & Shanghai. 20 Dec 2013. Qatar Airways launches 4 flights a week to Hangzhou in an A330-200. 4 Sep 2013. Qatar Airways commences 3 flights a week to Chengdu in an Airbus A330, with flight QR884 receiving the traditional water salute at after landing. “Qatar Airways saw an immense potential to operate in Chengdu, which is set to play a critical role in the next wave of economic development in Western China. It’s hardly a surprise, therefore, that nearly half of the world’s Fortune 500 companies have opened offices in the city, and that Chengdu is aiming to become China’s fastest growing aviation hub.” said CEO of Qatar Airways, Akbar Al Baker. 2011. Qatar Airways launches flights to Chongqing. Oct 2013. Doha to Manila flights commence. 2 Oct 2013. Qatar Airways starts flying from Doha to Taif, 4 times a week, with A320s. Addis Ababa Flights Commence: From the 18th September 2013 Qatar Airways commences flights from Doha to Addis Ababa (ADD) in Ethiopia. Flight QR530 (changing to QR1427 on the the 27th October 2013) is scheduled to leave Doha at 22h15 and land in Addis Ababa at 01h40 the next day; flying on Mondays, Wednesdays and Saturdays. Flights are in Airbus A320s. Sep 2013. Qatar Airways suspends its flights to the Seychelles. Sep 2013. Doha to Addis Ababa flights are launched. Extra Nairobi Flight: From the 1 September 2013 Qatar Airways are adding an extra daily flight from Doha to Nairobi's Jomo Kenyatta International Airport. Jakarta Frequency Increased: From 1 September 2013 Qatar Airways are increasing their flight frequency to Jakarta from 11 to 14 flights a week, and increasing capacity from 27 October 2013 as they're increasing the use of B777-300ER from 7 to 11 a week. 20 Aug 2013. Flights to Sulaymaniya commence. Triple Daily Cairo Flights: From the 1st July 2013 Qatar Airways are increasing their Doha to Cairo flight frequency to triple daily, ie increasing from 16 to 21 flights a week. This follows the increase from 14 to 16 flights a week in late April. “For the second time this year, we’ve increased capacity between Cairo and Doha due to over whelming demand demonstrating the resurgence in tourism, as well as business travel to and from the Egyptian capital. In the space of just three months, Qatar Airways has increased frequency on the route by 24%, soon operating three daily flights each morning, afternoon and evening, and with better connectivity to an array of destinations including Beijing, Bangkok, Dubai, Manila, Hong Kong, Singapore, Colombo and cities across the Gulf." 2013-06-14 Benghazi Flights Suspended : Following an incident at Benghazi Airport, where protestors stopped Libyan passengers from flying to Doha, and passengers who weren't Libyan from going through passport control to enter Libya, Qatar Airways have suspended their flights to Benghazi. 3 Jun 2013. Qatar Airways launches flights to Basra, Iraq. 1 Jun 2013. Qatar Airways starts flying direct daily flights from Doha to Tripoli (previously it had flown via Alexandria/Borg el Arab) on A320s. 1 Jun 2013. Doha to Karachi flights are increased from daily to double-daily, Doha to Lahare flights are increased to daily, and Doha to Peshawar flights from 2 to 3 times a week. 22 May 2013. Flights are launched to Salalah, the Sultanate of Oman's second largest city. Late April 2013. Qatar Airways increases its Doha to Cairo frequency from 14 to 16 flights a week. 10 Apr 2013. Qatar Airways launches a Doha to Chicago service. Originally it was going to be daily flights, but they've now decided rather to have 3 flights a week initially, with the plan being to increase flights to daily from the 15th June. "We sincerely apologise to our customers for the inconvenience of the capacity adjustments caused by the grounding of the 787s, which is out of our hands. We are making every effort to ensure our valued customers are aware of these service updates and are accommodated accordingly." said CEO Akbar Al Baker. 19 Mar 2013. Doha to Chengdu flights were originally planned to be launched (meaning Qatar Airways now flies to 6 destinations in China) on 19 March 2013, but this has been delayed due to the unavailability of Boeing 787s. 8 Jan 2013. Flights are launched from Doha to Qassim in Saudi Arabia. 20 Feb 2013. Qatar to Phnom Penh (Cambodia) flights are launched. 5 Dec 2012. Qatar Airways commences flights from Doha to Warsaw. 1 Dec 2012. Flight frequency between Doha and Perth is increased from thrice weekly to daily. 20 Nov 2012. Qatar Airways commences flights to Belgrade, Serbia. 28 Oct 2012. Qatar Airways cancel flights to Stuttgart. 15 Aug 2012. Flights to Mombasa were scheduled to begin, providing an alternatives to 1time airline's Johannesburg - Mombasa flights. 25 Jul 2012. Flights to Kilimanjaro begin, meaning there are now 1-stop flights from Johannesburg and Cape Town to Kilimanjaro via Doha. 5 Jul 2012. Qatar Airways commences flights to Baghdad, Iraq: “Baghdad had long been on our list of destinations which we identified as being a key part of growing our Middle East network. During Iraq’s current period of reform and development, with industries resurging and many new companies expanding operations to Iraq, we felt this was the time to move into the country.” said Akbar Al Baker, Chief Executive Officer of Qatar Airways. 3 Jul 2012. Flights to Perth begin. Akbar Al Baker, the CEO of Qatar Airways said that "Today marks a very special occasion as we celebrate our arrival into a city that shows enormous potential and growth, both as a competitive tourism destination and as the hub of Australia’s mining and exploration industry. There has never been a better time to expand in Australia – a time when the Australian dollar is strong and business and leisure travellers worldwide search for easier and quicker ways to connect and do business. Our flight connections to Africa in particular will greatly please the people of Western Australia, whose strong links with the mining and business communities in East Africa signal enormous growth potential. Qatar Airways remains committed to opening up access to destinations that are largely underserved by international airlines and have great market potential. Perth is an example of this and 2012 will continue to be one of our biggest years of expansion addressing the underserved markets that our strategy has focused on. We sincerely look forward to growing the Perth route and we are already looking to improve frequency to a daily service by the end of the year." 23 May 2012. Flights to Erbil begin. 9 May 2012. Flights to Zagreb begin. 27 Mar 2012. Flights to Cebu (Phillipines) are suspended. 21 Mar 2012. Flights to Kigali (Rwanda) commence. 1 Feb 2012. Flight commence to Baku & Tbilisi. November 2011. Qatar Airways launches flights to Benghazi, Libya. Jan 2008. Qatar Airways suspends flights from Doha to Yangon, Myanmar. 2005. Flights to Osaka are launched, Qatar Airways' first flights to Japan. 1994 Qatar Airways' commences flights to Cairo. 2015-02-23 Qatar Airways Frequency increases from Doha: Ta’if in Saudi Arabia from 4 flights a week to 7, from May 16. Basra in Iraq from 4 flights a week to 8, from May 16. Athens from 14 flights a week to 21, from June 1. Najaf in Iraq from 4 flights a week to 8, from June 2. Zagreb in Croatia from 5 flights a week to 7, from July 1. Ankara in Turkey from 6 flights a week to 7, from July 3. Gassim in Saudi Arabia from 8 flights a week to 10, from July 17. Seasonal frequency increases: Alexandria in Egypt from 10 flights a week to 14, from 1 June to 15 September. Larnaca in Cyprus from 5 flights a week to7, from 3 June to 24 October. Salalah in Oman from 11 flights a week to 13, from 13 July to 4 October. 2015-02-23 Qatar Airways has announced that they will launch flights to Durban, via Johannesburg, from the 17th of December 2015. This will lead to an increase of Johannesburg flights to double-daily flights. Flights to Cape Town will also increase from 5 flights per week to become a daily service from the 15ht of October 2015. All three routes will be operated with a Boeing 747 Dreamliner. 2015-01-12 Qatar CEO Akbar Al Baker announced yesterday that Qatar is currently testing technology that would allow information from airplane black boxes to be continuously streamed to ground operating centres. This would eliminate the desperate search for black boxes as airlines would already be in possession of the information should something go wrong. Al Baker went on to say that they hope to install this technology on their first flight before the end of the year which would make them the first airline to do so. This is just one of the innovations that he believes places Middle Eastern airlines in a league of their own, one that European carriers would never be able to compete in according to him. 2015-01-09 Only 6 days left until Qatar's first A350-900 embarks on it first scheduled flight from Doha to Frankfurt! The A350 will feature 283 seats in a combination of full flat bed business class seats and 18-inch wide economy class seats. New technology to better regulate cabin pressure and fresh air as well as lighting to help mimic that at the arrival destination will help combat jetlag. We can only hope it will eventually make its way down to South Africa! 2015-01-06 The CEO of Qatar Airways, His Excellency Mr. Akbar Al Baker, announced recently that the airline will start flying to Amsterdam from the 16th of June 2015. Mr. Baker said that Amsterdam has been in their sights as a possible destination to fly to for many years, and they are now very pleased to be able to start operating flights between Doha and Amsterdam. The daily flights will be operated by a Boeing 787 Dreamliner which seats 232 economy class passengers and 22 business class passengers in fully flatbed seats. The airline will operate flights to 34 different destinations across Europe once their new route takes off on the 16th of June. Ticket sales have already opened! 2014-12-08 Qatar Airways will introduce flights from Doha to Accra, Ghana early next year. Ghana's newest airport, Kotoka International Airport will welcome these daily flights. 2014-11-03 Qatar Airways have started flying 5 flights a week between Doha and Cape Town. The airline will use one of their new Boeing 787 Dreamliner aircraft on this route. Flights will be operated on Mondays, Tuesday, Wednesdays, Thursdays and Saturdays. The aircraft will depart from Cape Town at 12h45 with the return flight arriving in Cape Town at 10h15. 2014-09-05 Qatar Airways will start flying between Doha and Cape Town five times a week from the 3rd of November 2014. The airline will use one of their new Boeing 787 Dreamliner aircraft on this route. Flights will be operated on Mondays, Tuesday, Wednesdays, Thursdays and Saturdays. The aircraft will depart from Cape Town at 12h45 with the return flight arriving in Cape Town at 10h15. 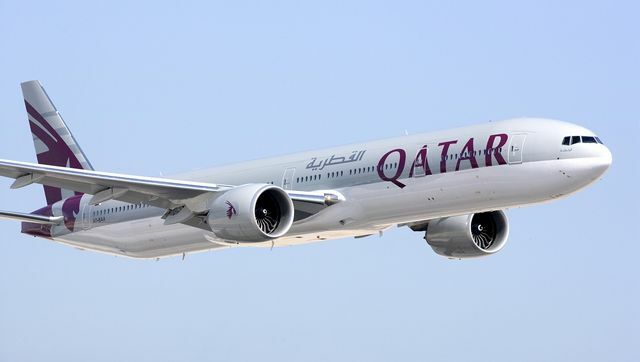 2014-06-12 Qatar Airways to Increase African Presence: Qatar's ambassador to Zimbabwe, Salem Al- Jaber, has announced that the state owner airline will start flying to Zimbabwe's capital Harare very soon. The airline currently flies ten flights into Johannesburg and they will be flying at least three weekly flights from JHB to Harare, using JHB as a quick stop over. Qatar is one of the world’s leading 5 Star Airlines and them flying to Harare is a great sign for the Zimbabwean economy and the SADEC region as a whole. From 1 May 2014, Qatar Airways is increasing Johannesburg - Doha flights from 7 to 10 a week, as well as introducing a B787. 2013-10-30 Sponsored by British Airways, Qatar Airways becomes a full member of the oneworld alliance. This means that Qatar Airways Privilege Club Members can use frequent flyer miles with any oneworld alliance members, and expands the number of airport lounges Gold and Platinum members have access to. 2013-09-02. Qatar Airways Privilege Club members can earn miles on BA flights. 2013-08-29 In September 2012 Wipro got together with Qatar Airways to research new aviation IT products. Today they announced products for loyalty management, in-flight catering, planning aircraft maintenance, analysing route profitability as well as mobile solutions for cabin crew, pilots & flight dispatchers. 2013-08-27 Qatar Airways officially launches a 3 year partnership with the Barcelona Football Club at Camp Nou Stadium (partnership started on 1 July 2013). 2013-11-05 Qatar Airways hosts the 46th meeting of the AACO (Arab Air Carriers Organisation) in Doha. "We welcome leaders of the global and Arab civil aviation industry to the State of Qatar and are delighted that Qatar Airways is hosting the AACO AGM for the second time. This reflects the pivotal role of the State of Qatar in the global and regional aviation industry and also reinforces Qatar Airways' commitment in developing and strengthening the Arab aviation sector." said CEO of Qatar Airways, Akbar Al Baker. 2013-08-23 It's reported that Qatar Airways is wanting to buy a stake in Mumbai-bsed GoAir. 2013-08-04 A Qatar Airways flight to Tripoli had to land in Alexandria after air traffic controllers were forced by armed men to divert it. Qatar Airways have also been forced to close their office in Tripoli's international airport and suspend flights. In June Qatar Airways suspended flights to Benghazi after pressure from another group. 2013-07 Qatar's sovereign fund buys the 50% shares owned by Sheikh Hamad bin Jassim Al Thani (former Prime Minister of Qatar) and other shareholders. Dec 2012. Qatar Airways cabin crew recruitment event at the Westin Grand in Cape Town. 25 Apr 2012. Qatar Airways photo contest - enter your most inspiration photo & stand a chance to win business class tickets & Qmiles. 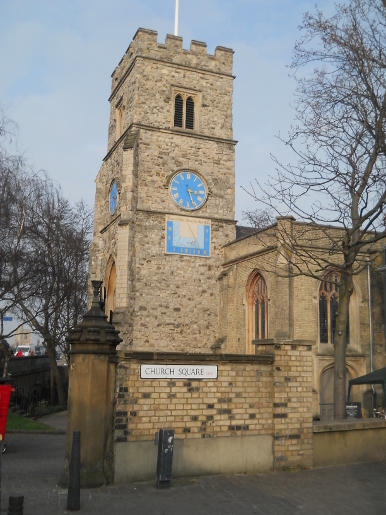 Apr 2012. You can now use your Qmiles for purchases at Qatar Duty Free in Doha International Airport, or even for raffle tickets for the $1m or luxury vehicle draws. 29 Oct 2010. At a meeting in Pretoria between the Civil Aviation Authorities of the State of Qatar and South Africa, the number of flights allowed per week by Qatar Airways to South Africa, was increased from 7 to 28 (14 from Doha to Johanneburg, 7 from Doha to Cape Town and 7 from Doha to Durban). The rumour is that Qatar Airways only wanted to increase their Johannesburg and Cape Town presence, but were told that this would only be possible if they also served Durban as well. 2007. At a meeting in a Doha, a memorandum of understanding is set up regarding bilateral air travel between Qatar and South Africa. 1998. An agreement regarding bilateral air travel is reached between South Africa and the State of Qatar. 2013-11-13 Best Emerging Airline in Social Media: SimpliFlying has named Qatar Airways 2013's best emerging airline in social media. 2013-11-03 Qatar Airways wins the "Best Stand" award at the Magical Kenya Travel Expo. Jun 2013. Qatar Airways is voted the 4th best airline in the world, by Business Insider Magazine. 7 May 2013. Middle Eastern readers of Business Traveller Magazine vote Qatar Airways cabin crew members as being the best in the world. Qatar Airways runs a Privilege Club, where you can earn Qpoints (which determine which tier you belong to) and Qmiles (reward miles). There were 4 tiers - Privilege Clu, Burgundy, Silver & Gold. On 24 September 2013 they announced that they are introducing a Platinum Tier which frequent flyers can join if they earn 600 Qpoints within 12 months. They are also introducing Qcredits, a new type of award accruing to platinum & gold members, which can be used for excess baggage, upgrades & inviting guests to the lounge at Doha Airport. There is now a family program, and the minimum age has been dropped to 12 years. For a small fee, Qmiles which might expire can be renewed. From 30 Oct 2013, when Qatar Airways joins the oneworld alliance, Qpoints & Qmiles can be redeemed & from all the airlines in the alliance. Since Qatar Airways' Busines Class was voted the best in the world we felt we had to say a thing or 3 more about it. The seats have laptop power ports & personal reading lamps. Enjoy a limousine ride to Doha airport. No queues. At immigration you enter duty free, and take the escalators to the lounge. Signs for the Business Class Lounge at Doha Airport are in English and Arabic. There's a special eggs menu, e.g. you can order eggs benedict. A luxury bus takes you to the plane. Business class is "spacy & elegant". You can get out of your seat even when the table is set. You can change the window shade colour to blue, with a wide range of options between open & closed (note that the last seats in business class, row number 5, do not have a window - so be careful not to book them ifyou want a window). There's a wide variety of newspapers & journals with a bit of a social area. Toilet has a window overlooking the engine - the toilet flushes automatically when you close it (so don't panic if you can't find the handle to flush it with!). There's a choice of champagnes. There's dining on demand - you can eat anytime you want. 22 June 2013. Video review of business class and a look at first class. Babies aged 9 days or youngers are only allowed on flights in cases of medical need. From 1 September 2013 Qatar Airways increased their baggage allowance. Let's first look at checked-in luggage: On Qatar Airways flights from South Africa, in economy class your bag may weigh a maximum of 30kg (was 23kg), in business class 40kg (was 30kg) and in first class 50kg (was 40kg). If you exceed these maximums you run the risk of being charged for it when you check-in. 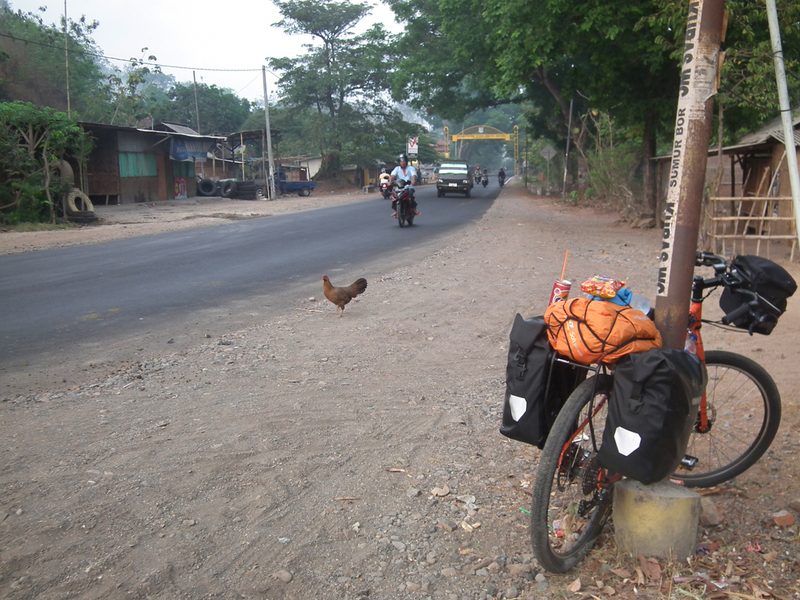 Under no circumstances may a single bag weigh more than 32kg. Qatar Airways runs a number of codeshares with other airlines, and different rules will apply if you are flying on a codeshare - be sure to check your ticket! Infants (10 days to 1 year old) are allowed one piece of hand luggage which must not exceed 10x37x25cm or weigh more than 10kg, one pushchair/stroller/collapsible carry cot, and one piece of checked baggage which mustn't exceed 10kg. A child (2 to 11 years old) is allowed one piece of hand luggage not exceeding 50x37x25cm or weighing not more than 7kg (in business/first class allowed 2 pieces which mustn't weigh more than 15kg) and one piece of checked baggage weighing not more than 23kg (30kg in business class and 40kg in first class). Your hand luggage (including laptops) may not weigh more than 7kg or consist of more than one piece if you have an economy class ticket (for business and first class maximum 2 pieces not weighing more than 15kg). The dimensions of hand luggage may not exceed 50x37x25cm. Items such are a small briefcase, a handbag, a camera or a walking stick are not counted towards the hand luggage allowance. Online check-in is available up to 2 hours before your scheduled departure time, and a maximum of 36 hours before your flight (24 hours in the United States). To check-in online navigate to the Qatar Airways South Africa flights page, and click on the "check-in online" tab at the top of the page. If you're flying Qatar Airways from Cape Town International Airport (CPT), then head for the departures section on the upper level of the airport (domestic and international departures occur from the same hall). OR Tambo International Airport (JNB) in Johannesburg has a separate international departures section (Terminal A), on the northern end, head there and go to the upper level. Qatar Airways joins Oneworld alliance: On 30 October 2013 Qatar Airways officially joined the Oneworld alliance, a year after it announced that it plans to join it. The only other middle-eastern airline in the alliance is Royal Jordanian. This will mean that frequent flyer members of other airlines in the Oneworld alliance can earn points on Qatar Airways flights and redeem awards with them. 2013-06-14 More American Airlines Codeshares : Qatar Airways have added a plethora of new 2-stop flight possibilities from Cape Town and Johannesburg to the United States, as a result of an extension fo their codeshare with American Airlines. You can now fly via Doha and Chicago to Atlanta, Charlotte, Charlottesville, Columbus, Dubuque, Flint, Fort Lauderdale, Kansas City, La Crosse, London Heathrow, Manchester, Marquette, Moline, New York La Guardia, Paris, Sioux Falls, Sioux City, Traverse City, Waterloo, Watertown, Wausau, West Palm Beach and Westchester Count. There are also options to fly via Doha and New York JFK to Austin, Barcelona, Las Vegas, London Heathrow, San Diego, San Juan and Seattle. You can fly via Doha and Washington Dulles to Dallas Fort Worth and Miami. 21 May 2013. Qatar Airways adds another 25 American Eage and American Airlines destinations to its booking engine. You can now fly 2 stop (via Doha & Chicago) from Cape Town & Johannesburg to Baltimore, Bloomington, Buffalo NY, Champaign, El Paso, Fort Wayne, Green Bay, Harrisburg, Hartford, Kalamazoo, Knoxville, Madison, Manhattan KS, Milwaukee, Newark, Peoria, Richmond, Rochester NY, Springfield MO & Syracuse NY. Also via Doha and New York to Baltimore, Cleveland, Columbus OH, Orlando & Pittsburgh. 15 May 2013. The Bangkok Airways - Qatar Airways codeshare begins. Qatar Airways will now offer flights from Joburg and Cape Town via Doha & Bangkok to Chiang Mai, Koh Samui, Krabi, Lampang, Phnom Penh, Phuket, Sukhothai, Trat & Yangon. 4 May 2013. Qatar Airways adds 24 routes into its codeshare with JetBlue. You can now fly 2 stops from CPT & JNB via Doha & New York JFK to Buffalo, Burbank, Burlington VT, Charleston SC, Charlotte, Ft. Lauderdale, Ft. Myers, Jacksonville FL, Long Beach, New Orleans, Oakland, Orlando, Phoenix, Portland ME, Portland OR, Rochester NY, Sacramento, Salt Lake City, San Jose CA, San Juan Syracuse, Tampa & West Palm Beach. There are also flights from via Washington Dulles to Boston. 3 May 2013. Qatar Airways adds 32 more flight routes into its codeshares with American & American Eagle. You can now 2-stop from Cape Town & Johannesburg via Doha & Chicago, to: Albuquerque, Boston, Cedar Rapids, Dayton, Des Moines, Evansville, Fargo, Grand Rapids, Huntsville, Indianapolis, Jacksonville FL, Las Vegas, Lexington, Little Rock, Louisville, New Orleans, Oklahoma City, Omaha, Philadelphia, Pittsburgh, Raleigh, Salt Lake City, Toledo, Tucson, Tulsa, Washington Reagan & Wichita. There are also flights via Houston to Dallas, Los Angeles, & Miami; and flights via New York's JFK to Miami & San Francisco. 17 Apr 2013. Qatar Airways adds 25 routes into its codeshare with American Airlines. It now covers flights from Chicago to Austin, Cincinnati, Cleveland, Columbus OH, Denver, Dallas/Ft. Worth, Detroit, Fayetteville AR, Houston, LA, Memphis, Miami, Minneapolis, Nashville, Phoenix, Rochester MN, San Antonio, San Diego, San Francisco, Seattle, St. Louis, Tampa; Dallas to Frankfurt; from New York to Boston, Chicago, Dallas, Houston, LA, Raleigh, Tampa & Washington Reagan; and Washington Dulles to LA. Oct 2012. Plans are announced to join the Oneworld Alliance. 25 May 2015: Qatar Airways is hiring. The airline will be looking for talent in Johannesburg, South Africa on the 30th of May 2015 to join their cabin cream team. Take your CV & photographs to the Radisson Blu Hotel in Sandton (Situated on the corner of Rivonia road & Daisy Street) between the hours of 9am and 5pm, you must be clothed in formal business attire. Navigate to jobs at Qatar Airways. Competitors of Qatar Airways include Emirates, Etihad and Turkish Airlines.